So, my Husband and I got married on Saturday 8th October 2016. 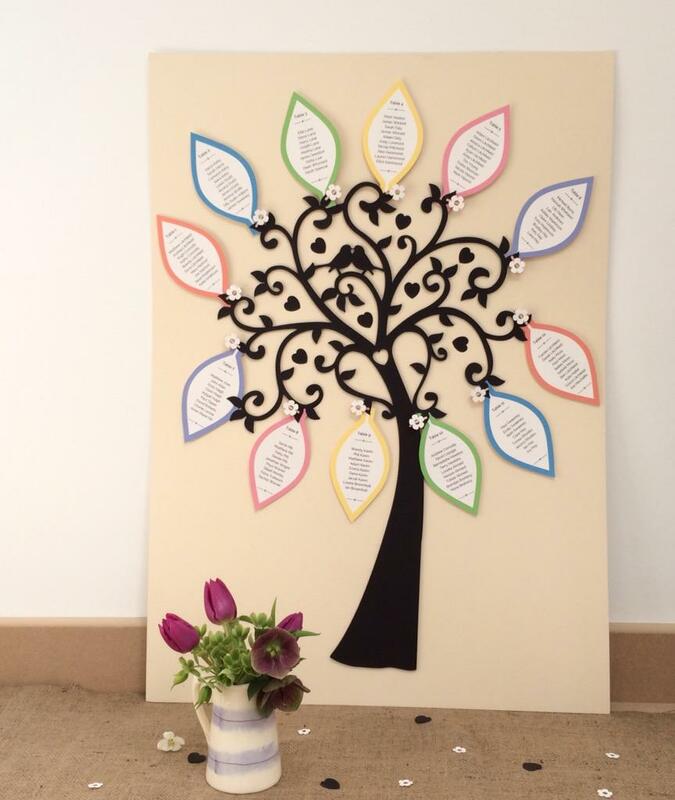 When we were looking at invitations we genuinely became completely overwhelmed. I knew of many independent people and small businesses that made the most wonderful wedding stationary that I would have more than loved to have; however they all came in over budget. When they were able to work in our budget the Husband and I couldn’t decide on anything. It was like trying to choose a photographer all over again! We looked at everything from independent people and small businesses to big companies such as Vista Print; I even did online edits before deleting the basket out of an inability to decide. The solution to all this? We decided to make our own! Gold ribbon, blue check ribbon, blue paper, cream paper, plain cream cards and envelopes, a tree shaped stamp, ‘evening invitation’ stamp, ‘wedding invitation’ stamp, gold ink pad, blue ink pad, craft glue, ruler and an A4 guillotine. All came in under £75. It took 4 people 8 hours from start to finish. The Husband, myself and two wonderful helpers. We had figured out before we started what we wanted to do and before our helpers arrived we made a mock up of what we wanted to achieve. We had also printed onto cream paper the wording for the inside of the invitations, slightly different wording for day and evening invites. 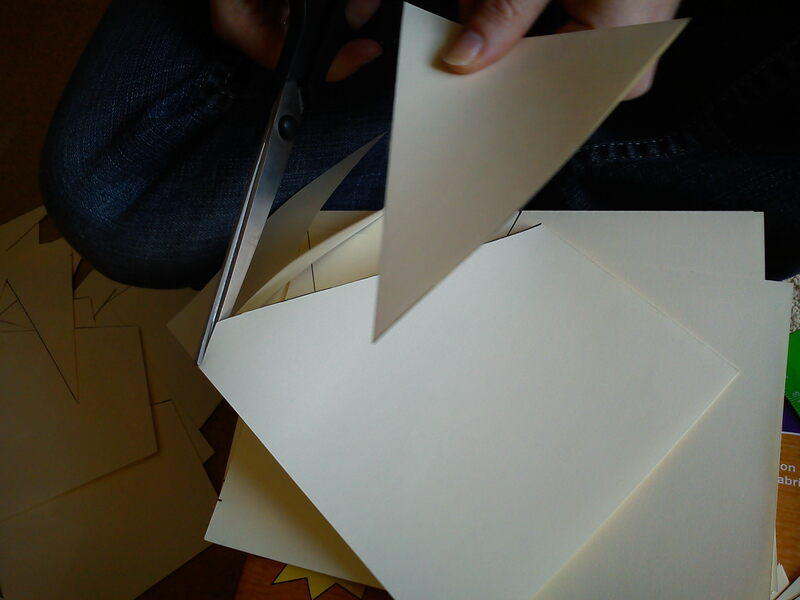 Once the invitation wording had been printed it was then down to assigning tasks to each person to create a production line. H: Glued the ribbons in place and glued the invitation wording and the blue paper inside the card. 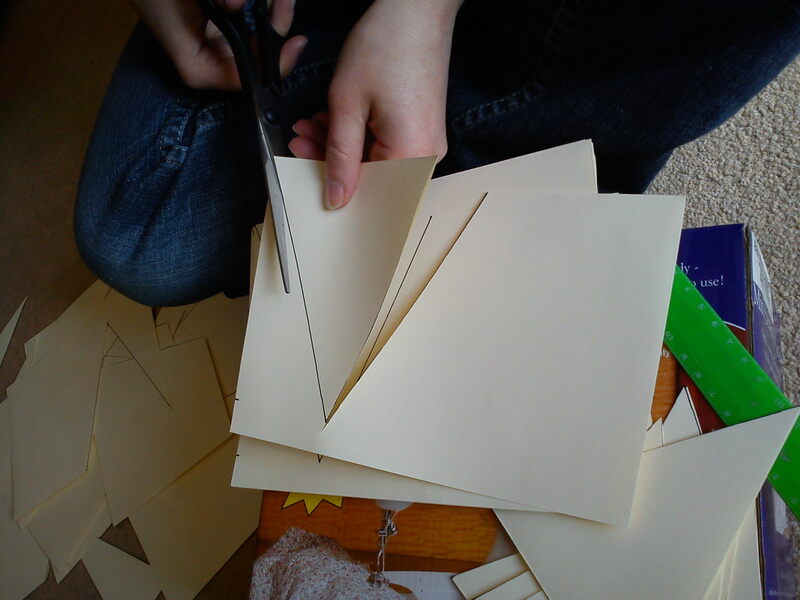 The glue was applied only in a small line down the left hand side of the margin so the ‘pages’ we left loose. Including a fresh printer cartridge and postage we came in under £100. What helped us stay in budget? 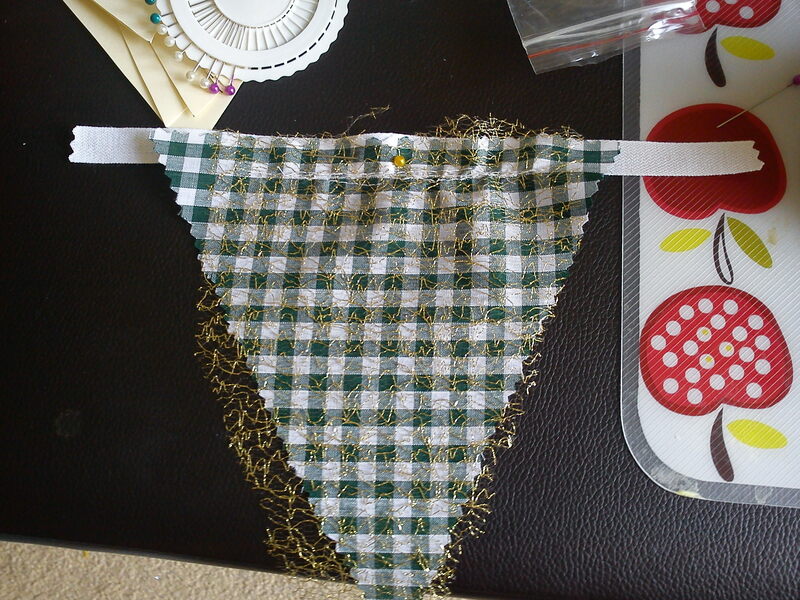 In previous posts I have shared my passion for bunting; that passion for bunting refuses to fade, however I also have a new ‘amare’ in my life – cotton string balloons! 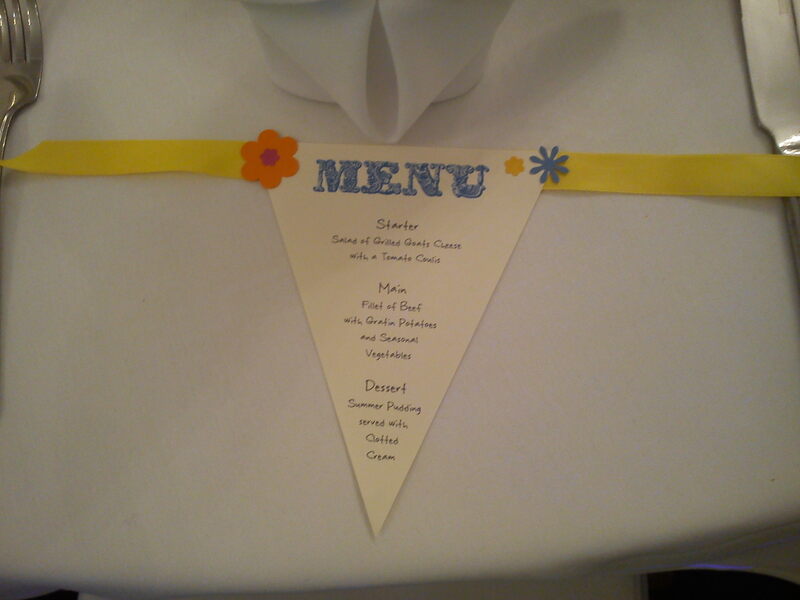 Cotton String Balloons are just as versatile as bunting but have been less over-used in the wedding industry to date. First of all, before I get too carried away with myself, let me introduce you to what a string balloon is: It is a balloon that has had PVA solutuon string wrapped around it; once the string has dried/set the balloon is popped and removed so that all that you have left is the string in the shape of a balloon. Click Here for a good ‘How To’. The look of your string balloons can be changed depending on how thickly the string is wrapped around the balloon, the type of string used, the size of the balloon used, whether you spray paint the string afterwards or not and how you use the string balloon within your wedding decorations. 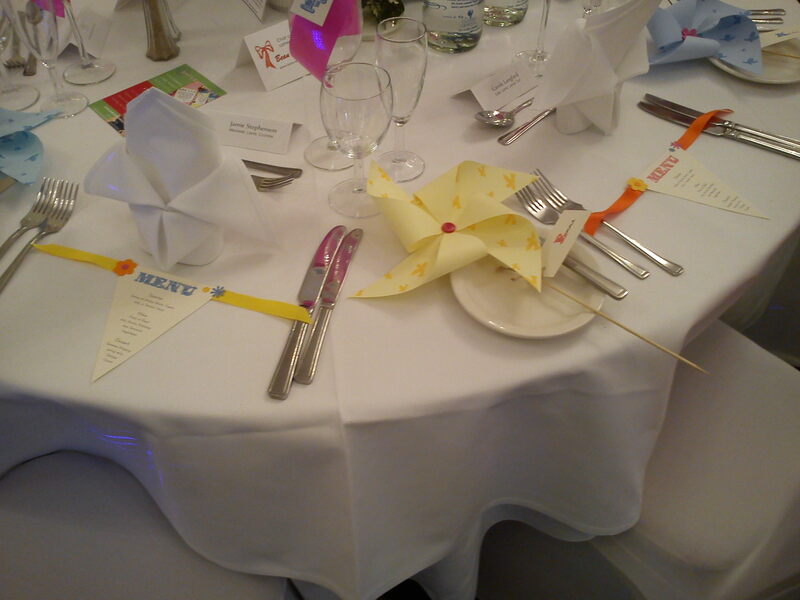 If you are going to use the string balloons on your reception tables, how about sticking flowers in the top of them? Or cut a hole in the bottom and position the string balloon over the top of flowers. For a extra twist on this, you could put things inside the balloon before tying it off, so that when you pop the balloon certain items are then trapped inside the sting ball. 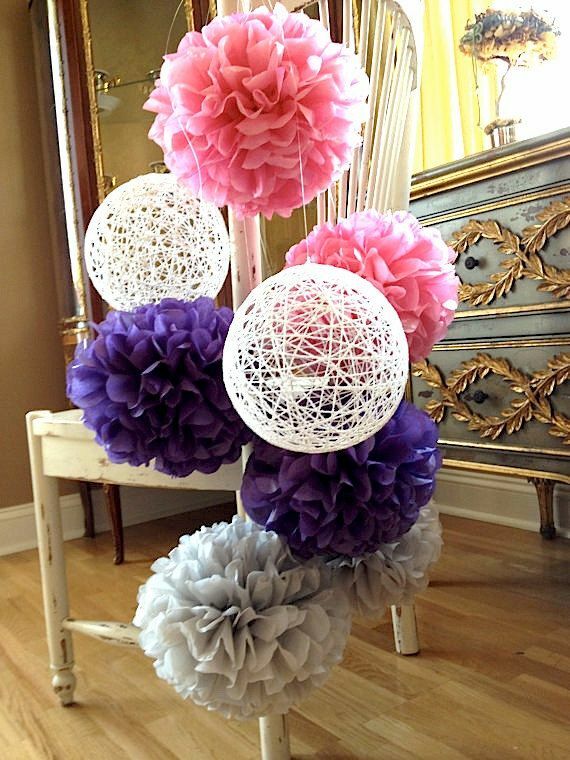 String balls look fantastic teamed with pompoms when hung together – thinking about having some hung over the gift table, or hung outside where you’ll have your pictures taken, or even hung as pews ends for the ceremony. 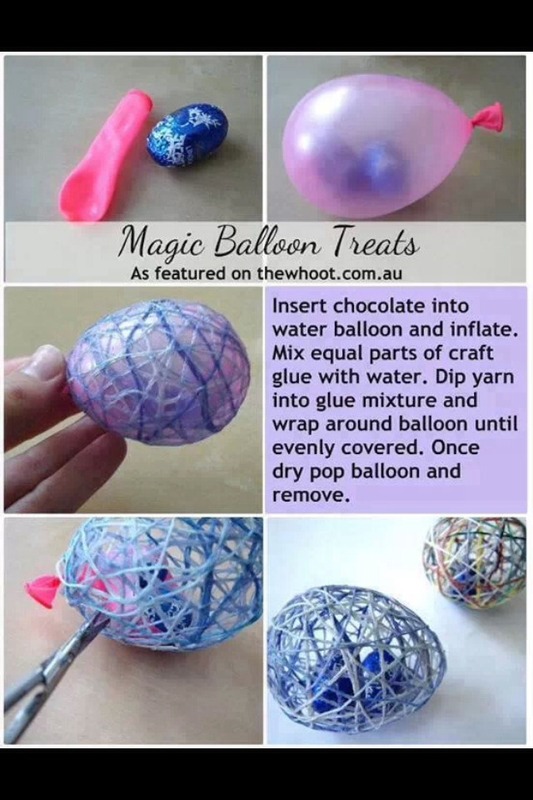 You don’t just have to wrap string/wool around the balloons, using a similar method, other fantastic results can be achieved! 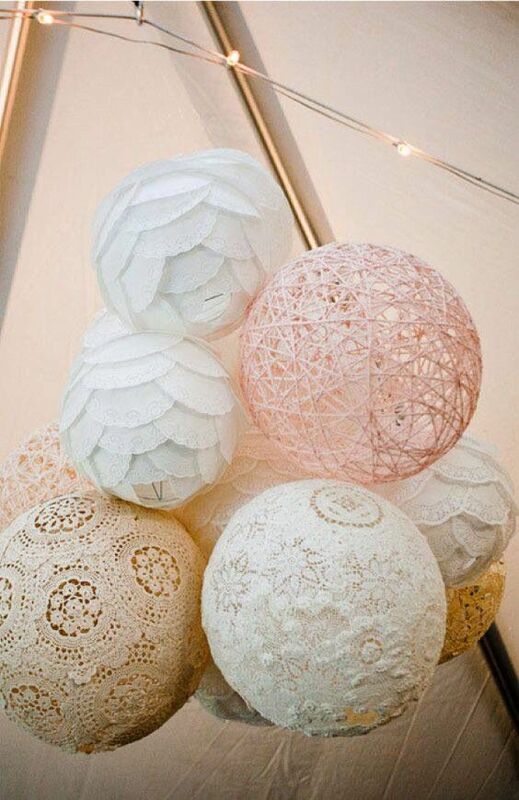 How about PVA pasting paper doilies to the balloon? This gives an UBER unique way to decorate your venue for a sake of a few quid. You could either team the string balloons with the doilies balloons or have one or the other. 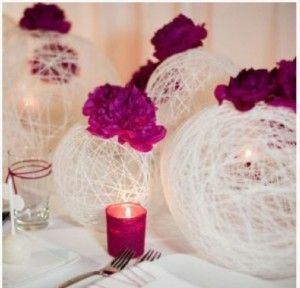 As mentioned previously I am the most artistically challenged person I know, but I think that these string balloons are very achievable for a budget bride/groom to create. Have you seen these before? What are your thoughts on them? 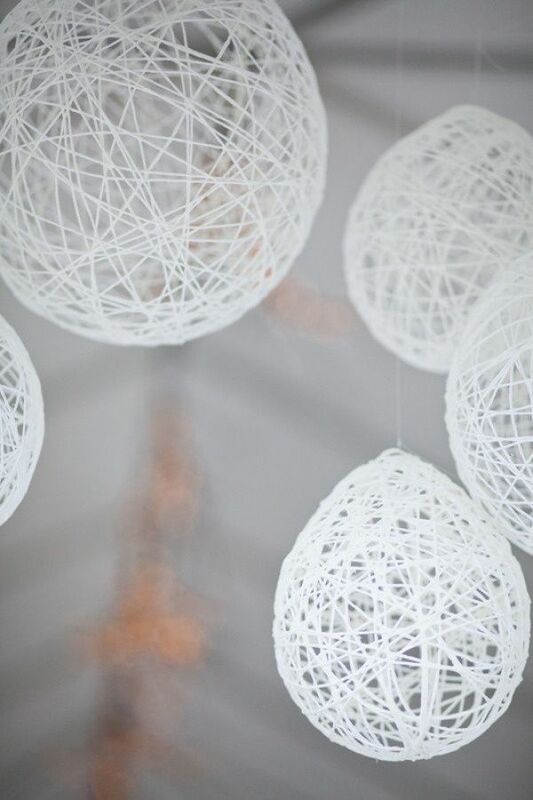 If you choose to go for the string balloon theme for your wedding decorations, you can continue the theme through the wedding by incorporating this idea on a smaller scale for your wedding favours. 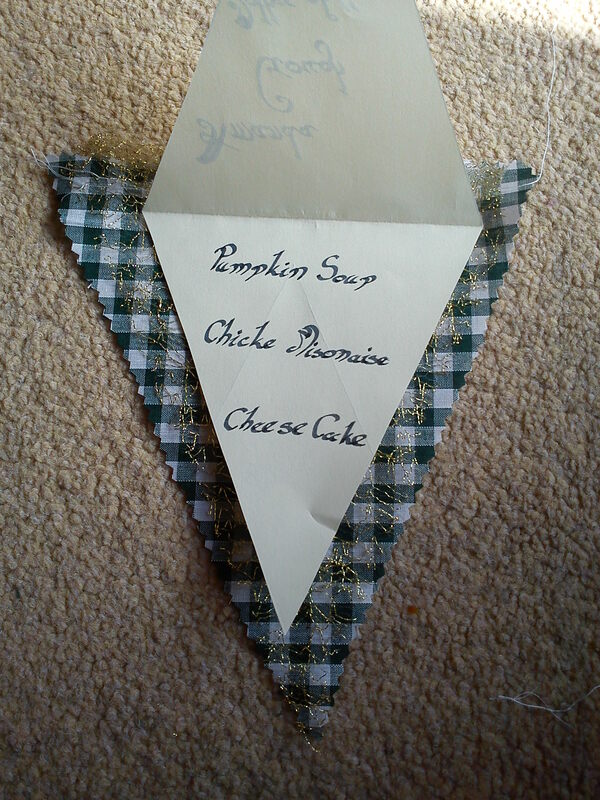 Your guests wont care what your wedding favours are if they are trapped inside a string cage like this! You could put wrapped chocolate/fudge etc inside the small balloon, or other small wedding favours, the larger the favour the large the balloon! My wedding colour scheme is glue and gold so I like the idea of putting two Ferrero Rochers in the balloon. Your guests will think of all sorts of ways to try and get to their favours, and are much more likely to take the favour home. 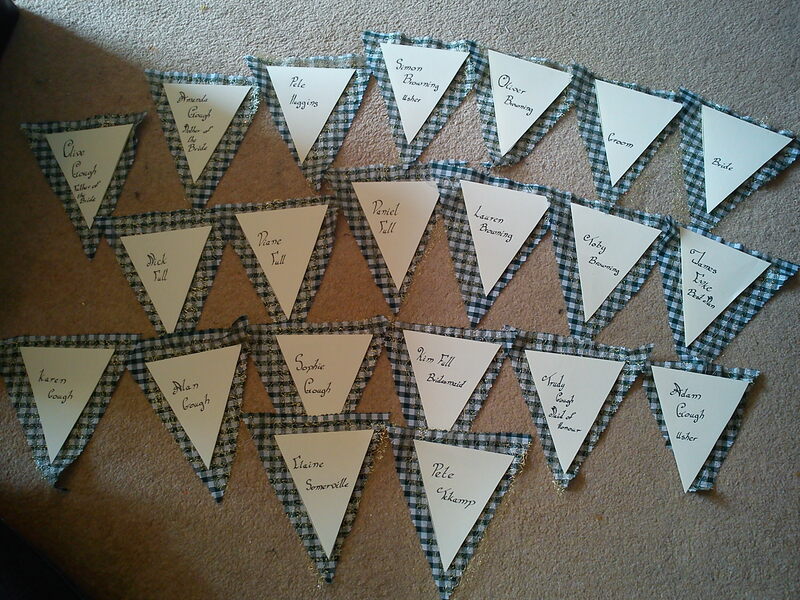 Can you think of a cheaper and easier way to create the most memorable wedding favours ever? What would you put inside the string ball for your wedding favours? 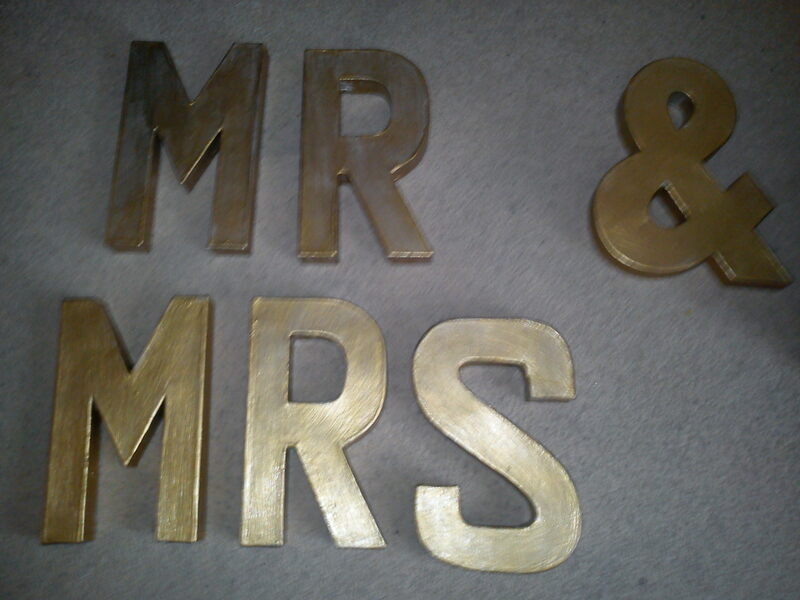 I painted my Mr & Mrs letter from white to Bronzey/Gold. I think they may need another coat of paint.